Ryhope CW were beaten 4-2 at home to title-challengers Dunston in a close fought Northern League encounter. Mark Fitzpatrick gave Dunston the lead from the spot on the stroke of half-time. Jordan Nellis and a second from Fitzpatrick gave the away side a big lead. However, Ryhope hit back with goals from James Ellis and Jack Devlin. The momentum was in Ryhope’s favour, but substitute Scott Heslop restored a two goal lead for Dunston. 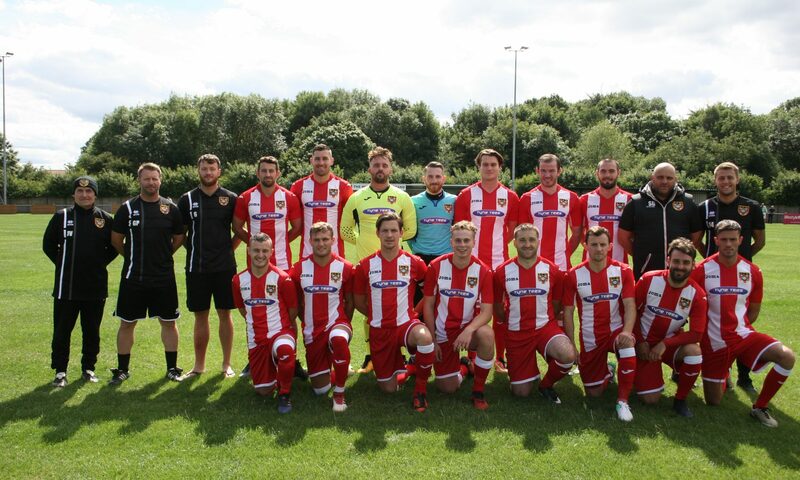 Colliery Welfare went into the game on the back of a much-needed derby victory over Seaham Red Star and they’d hoped to carry the positives from that performance into a tough game. Ryhope started well and had chances in the first-half through Micky Rae and Nat Skidmore, as well as a Ben Riding header from a corner that looked goalbound. Dunston had chances of their own, Joe Atkinson spectacularly plucking a Liam Brooks shot out of the air. Dunston attacked on the stroke of half-time, Atkinson making great saves but the ball kept rebounding to the away side. Ben Riding was adjudged to have blocked one of the efforts with his hand and a penalty was awarded. Fitzpatrick made no mistake with his penalty, putting it into the right corner. The away side doubled their lead nine minutes into the second-half, Jordan Nellis picking up the ball outside the box driving a great low strike into the left corner. Fitzpatrick added his second of the game just two minutes later, a ball was played into the box and he turned it home from close range. The attacker was flagged offside, but after deliberation with the referee, the goal was given. It was a long way back for Colliery Welfare, but Ellis got on the end of a square ball just inside the box and finished into the bottom-right corner to kick-start a possible comeback. Corey Nicholson attacked down the right before firing over just minutes later, showing more signs of a fight back. Devlin scored his second in two games for Colliery Welfare, shrugging off challenges before releasing an effort which Karl Dryden was unable to hold on to. The attacker had another chance minutes later, but Dryden was equal to it. Ryhope were knocking on the door, but the comeback was made a lot more difficult in the 76th minute, Heslop chesting down a Craig Scott pass before adding a great strike to beat Atkinson from range. Devlin had a penalty shout in the 81st minute, but the referee gave a free-kick to Dunston for a dive and the attacker was given his marching orders, picking up a second yellow. There were few other chances, Dunston running out 4-2 winners. Colliery Welfare will look to bounce back when they face struggling Penrith at Recreation Ground next weekend. “You saw how frustrated I was, and my frustration wasn’t aimed at our players, their players, their management, fans, it wasn’t even the officials, it was literally at the referee.